Happy 30th Anniversary Full House. One this day in 1987, fans first met Danny Tanner and his three daughter DJ, Stephanie, and Michelle. We also got to meet their incredibly cool Uncle Joey and Danny’s zany pal Joey. Netflix celebrated this milestone by debuting season three of Fuller House. The main character on that series is DJ, played by the lovable Candace Cameron Bure. In honor of the anniversary, we are going to rank all of her boyfriends from the original series. Michael was DJ’s first boyfriend and appeared in the Full House season 2 episode, “A Little Romance.” DJ is in sixth grade and this is her first real boyfriend. Sadly, their love was not meant to be. Michael (played by Jonathan Brandis) dumps DJ after two days for Kathy Santoni. He actually says that she is smart but Kathy is pretty. Ouch! Though Kevin never dissed DJ like Michael did, he wasn’t the greatest of boyfriends. DJ receives her first kiss from Kevin during season three and the two date for awhile. They go to a dance together where she catches him drinking beer with his friends. Sadly, Jesse thinks DJ is the one drinking and punishes her. Kevin does finally admit that DJ was not drinking. The love between DJ and Sylvio was short-lived. Sylvio pops up in season four when Jesse’s family visits from Greece. As soon as Sylvio spots DJ, he falls in love. He asks to take DJ on a date around the kitchen table, which actually means the two are now married! Everything works out in the end, but Full House fans never see Sylvio again. After DJ and Steve break up, she starts dating one of two guys. The first to make it on this list is Nelson. He was super rich and super in love with DJ. The two date for a little while, but eventually he and Viper start fighting over DJ. Even Nelson’s money couldn’t win DJ over. He does show up in one final episode after DJ’s decision to help stop Kimmy from getting married. Viper was the other dude that DJ had to choose between in season 8. She could not take all the fighting and eventually decides to not date either Nelson or Viper. We give Viper the upper edge on list because of his coolness factor. Viper was a new member of Jesse’s band and was your typical bad boy – something DJ wasn’t accustomed to in her past loves. How could Steve not rank as DJ’s top boyfriend on Full House? The two began dating in season 5 and their relationship lasts through the seventh season up until Steve heads off to college. Steve was even nice enough to come back for DJ’s senior prom. Steve has even popped back into DJ’s life on Fuller House. Will she end up with him for good? Which of DJ’s boyfriends from Full House was your favorite? Let us know in the comments section below. 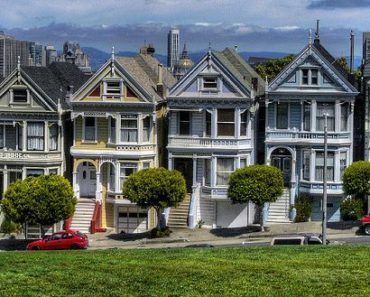 Which Catchphrase From ‘Full House’ Is the Best?